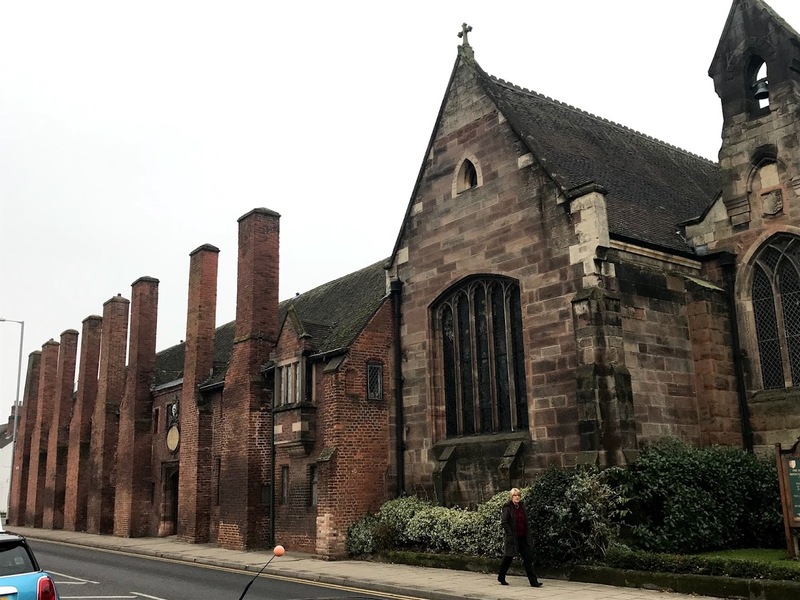 I was writing last month about Saint John’s Hospital, Lichfield, its history, its architecture and its chapel. 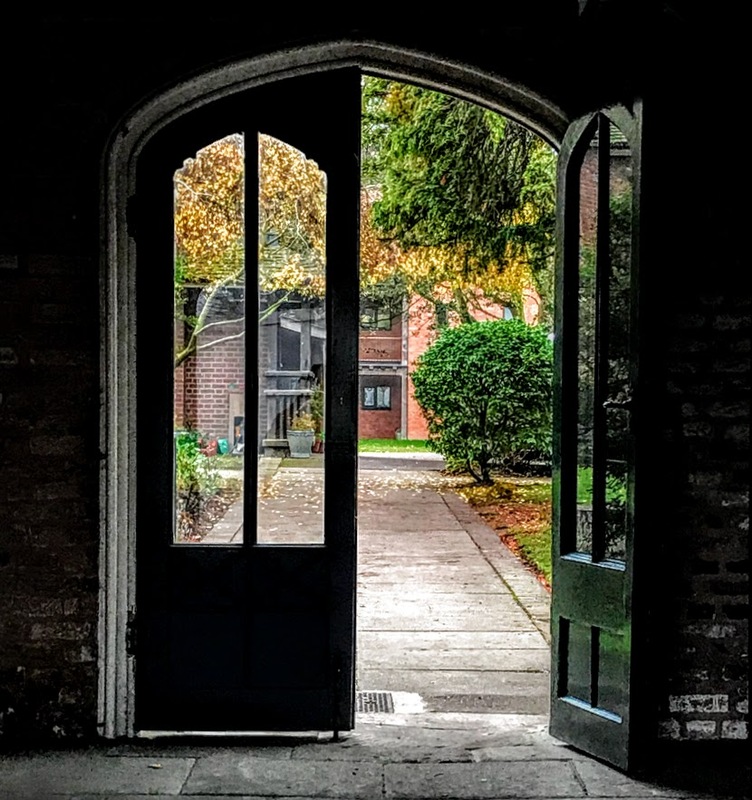 But there is a little gap in the history of Saint John’s that had puzzled me for many years. 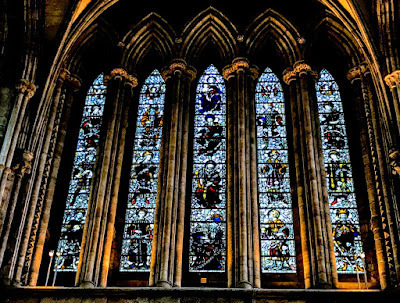 Inside the chapel, a framed work in careful calligraphy lists the Priors and Masters of Saint John’s from Hugh of Derby in the 13th century up to the present day. This list has been kept up-to-date, and it is an aesthetic display of continuity over the span of seven or eight centuries in this one place in Lichfield. In the early 14th century, the brethren of the hospital seem to have tried to secure the right of electing their prior. In 1323, on the resignation of William of Wychnor, they nominated William of Repton or Repington as his successor. The bishop protested, claiming they had infringed his rights, but he still appointed Repton. When Repton resigned in 1330, the brethren successfully nominated Richard del Hull as his successor. The hospital ceased to be a corporate body of regular clergy, probably in the late 14th century, and we know little more about the hospital until the later 15th century. But I have been puzzled that the names of some of the late mediaeval priors listed in the Victoria County History of Staffordshire are missing from the framed list in the chapel, including Richard de Pecham, who was collated in 1352, Thomas Bradeley, who resigned in 1404, and Dr Thomas Milley’s successor, William Smith, who resigned in 1494 and was succeeded by Sampson Aleyn, who died later that year. William Smith may have been omitted because the calligrapher confused him with Aleyn’s successor, another William Smith, who is already named on the list, or with William Smyth, who became Bishop of Lichfield in 1492 and who refounded Saint John’s in 1495 as a hospital for aged men and as a free grammar school. 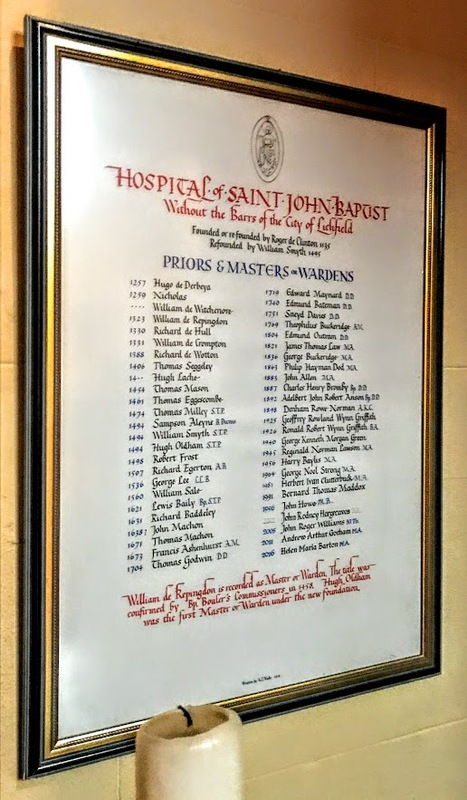 However, the most interesting omission from the framed list is Zachary Babington, who was the Master of Saint John’s Hospital at the turn of the 16th and 17th centuries. Zachary Babington probably succeeded William Sale as Master in 1587, and it is certain that Babington was the Master of Saint John’s in 1592 until he died in 1613. The Revd Canon Dr Zachary Babington (1549-1613) is often referred to less for his clerical career and more because he was a distant cousin (second cousin once removed) of Anthony Babington, who, at the age of 24, was hung drawn and quartered on Tower Hill in 1586 for his part in the plot to murder Queen Elizabeth and put Mary Queen of Scots on the throne of England. But this missing Master of Saint John’s is of particular interest to me because he was more closely related to the Comberford family of Comberford than he was to Anthony Babington of the Babington plot. Zachary Babington was the son of Thomas Babington (died 1567), of Cossington, Leicestershire, and was baptised in Cossington on 9 July 1549. ● Eleanor Beaumont, the youngest daughter, married William Babington’s brother Humphrey Babington of Rothley Temple, Leicestershire. Humphrey Comberford was already a first cousin of these two Babington brothers. Their maternal grandfather was Ralph Fitzherbert of Norbury, near Ashbourne, Derbyshire, whose daughters included Editha Fitzherbert, who married Thomas Babington in 1498, and Dorothea, who a year or two earlier married Thomas Comberford (1472-1532) of Comberford, who had been admitted to membership of the Guild of Saint Mary and Saint John the Baptist in Lichfield in 1495. These marriages with the Fitzherbert family brought the Comberford and Babington families into close kinship with each other. In 1499, Thomas Comberford and David Rochford, a Lichfield mercer, leased the manor of Timmor for 12 years from John Beaumont. Timmor was a part of the Bishop of Chester’s manor of Lichfield (later Longdon) and so continued until at least 1739. John Beaumont died in 1502, leaving his three daughters as his heirs. Thomas Comberford had inherited the advowsom of Yelvertoft in Northamptonshire, and in 1510 he presented his wife’s nephew, the Revd Thomas Babington, to that living or parish. When the Beaumont inheritance was eventually divided between the Babington and Comberford families in 1540-1541, Timmor was allotted to Joan or Joan, the eldest daughter, and her husband William Babington. Eventually it passed to the Skeffington family of Fisherwick, who also became the owners of Comberford Hall in the 17th century. 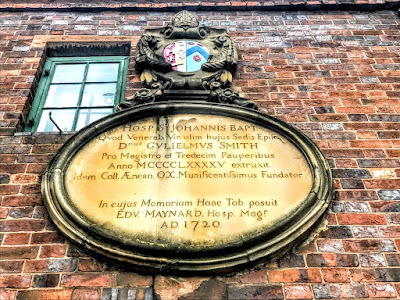 Thomas Babington and Editha Fitzherbert were the grandparents of Thomas Babington, whose son Zachary Babington would become the missing Master of Saint John’s Hospital, Lichfield. Zachary Babington was baptised in Cossington on 9 July 1549 and was educated at St Alban Hall, Oxford (BA 1570, MA 1573). He later received an MA at Cambridge in 1598. St Alban Hall had become part of Merton College, Oxford, and Zachary received his bachelor’s and doctor’s degrees in canon law (BCL and DCL) through Merton College in 1599. 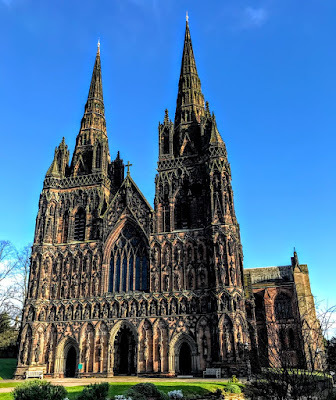 He became a canon of Lichfield Cathedral in 1581 and then Prebendary of Curborough in 1584, and probably became Master of Saint John’s in 1587. He was appointed Precentor of Lichfield and Prebendary of Bishop’s Itchington in 1589, two positions held earlier, in 1555-1559, by his aunt’s brother-in-law, Canon Henry Comberford (1499-1586). He was also Chancellor of the Diocese of Lichfield and Coventry from 1598. 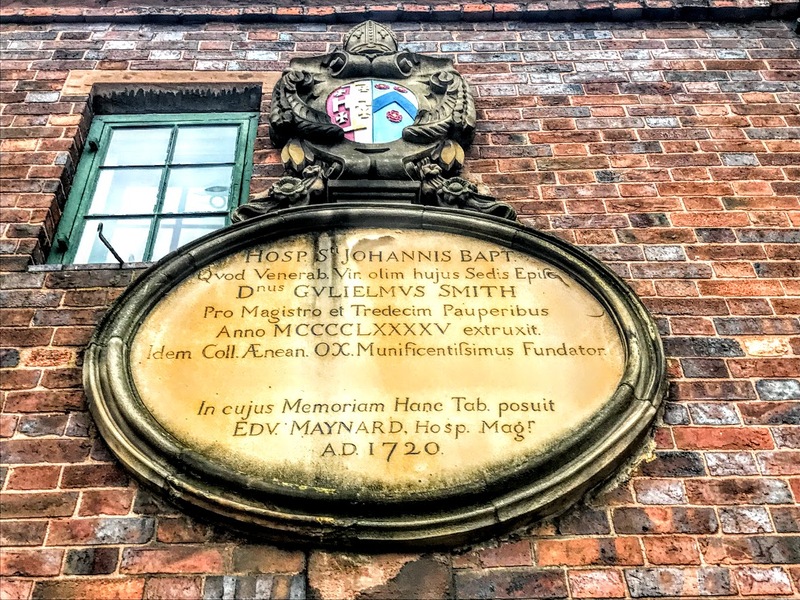 Zachary Babington probably lived throughout this time in the Cathedral Close in Lichfield, rather than the Master’s House in Saint John’s Hospital. He was typical of the pluralist clergy of his day, and at the same time was Rector of Sudbury, Derbyshire (1583), Hoggeston, Buckinghamshire (1588), Langwith, Derbyshire (1594), and Cossington, Leicestershire (1603). Zachary Babington probably took advantage of his position as Prebendary of Curborough to create an estate centred on Curborough Hall Farm near Lichfield, and he was living at Curborough Hall when he died in 1613. He was succeeded at Curborough by his son William, who died in 1625, and he in turn was succeeded by his son, also Zachary Babington, a lawyer, who was living at Curborough in 1666 before moving to Whittington. This Zachary Babington died in 1688. 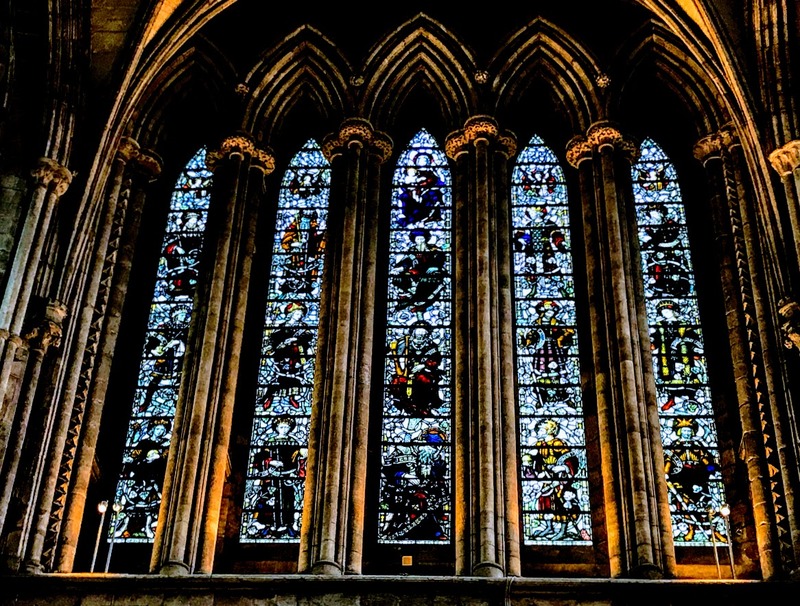 His brother, Canon Matthew Babington, was a chaplain to Charles I, while his sisters included Margaret, who married John Birch, one of the trustees of the Comberford estates in the 1650s and 1660s, and Mary who married Matthew Dyott of Stychbrook and Lichfield. This Zachary Babingnton, who died in 1688, was the grandfather of Zachary Babington (1690-1745), a barrister who was High Sheriff of Staffordshire in 1713 and 1724. 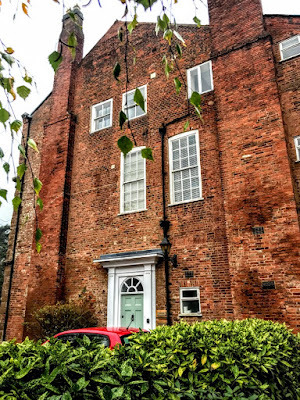 He lived at Curborough Hall and later at Whittington Old Hall. Zachary Babington’s daughter Mary married Theophilus Levett (1693-1746), steward or town clerk of Lichfield (1721-1746) and a friend of Samuel Johnson’s family as well as part of the intellectual circle in Lichfield that included Erasmus Darwin, Anna Seward, David Garrick and Matthew Boulton. The Babington estates were divided in 1780 and Curborough Hall was inherited by John Levett, the son of Mary and Theophilus Levett. John Levett died in 1799, and Curborough Hall descended in his family until it was sold in 1925. 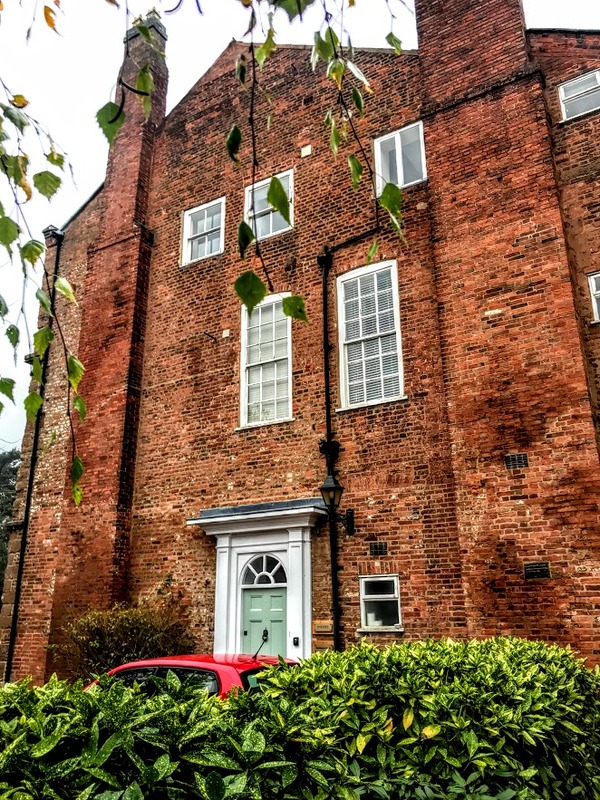 The present farmhouse was built in 1871, but the original Curburough Hall, built by Zachary Babington who died in 1613, was demolished by 1848, when its site was known as Old Hall Close. A tablet bearing the Babington coat of arms and the initials ZB and WB, presumably for Canon Zachary Babington and his son William, was removed to farm buildings where Field House now stands. It was later set on a wall inside Field House. There is also a memorial to Zachary Babington in Whittington Church. 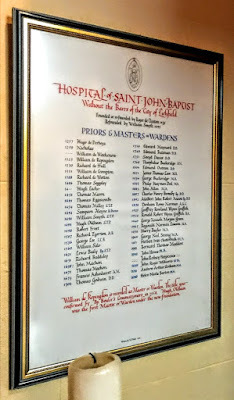 Meanwhile, when Canon Zachary Babington died in 1613, he was succeeded as Master of Saint John’s Hospital, Lichfield, by Lewis Bayly, Bishop of Bangor (1616-1631), and, from then on, the list of Masters in the chapel is complete, including the present Master, the Revd Helen Maria Barton. GC Baugh, WL Cowie, JC Dickinson, AP Duggan, AKB Evans, RH Evans, UC Hannam, P Heath, DA Johnston, H Johnstone, AJ Kettle, JL Kirby, R Mansfield and A Saltman, ‘Hospitals: Lichfield, St John the Baptist,’ in A History of the County of Stafford: Volume 3, ed MW Greenslade and RB Pugh (London, 1970), pp 279-289. British History Online http://www.british-history.ac.uk/vch/staffs/vol3/pp279-289 [accessed 19 December 2018]. Pray for strength for church leaders in Bangladesh’s three dioceses: Dhaka, Kushtia and the recently established Diocese of Barisal. Today’s reflection is headed ‘O Radix Jesse’ (‘O Root of Jesse’), referring to the third of the O Antiphons in the final week of Advent. Remember God’s power to call us even in the middle of our routines, or when we’ve given up hoping for much. Ask God for direction and the gift to follow it. Judges 13: 2-7, 24-25; Psalm 71: 3-8; Luke 1: 5-25.